Homemade Doughnuts! Krispy Kreme style! | I made that! um. Not cool. Now I need donuts. These look so perfect. Better go start heating the oil. yeah perfect. these are a good tool to have in the box. use abundantly when necessary. Ahh man these look dangerous!! As said before, they do look dangerous, but so dangerously good that it would be hard to say no… 😛 Care to share? The only problem I see is the recipe only makes enough for one person. i love donuts. no i really do. I need to make these. pronto! thank you for posting this, donuts have been on my mind for the past couple months but donuts are hard to find in Canada’s Capital City… i’m about to change that! These donuts look absolutely amazing. I think your chocolate glaze looks great. I love the idea of mixing up different flavors in the glazes – maybe a lemon glaze or a grapefruit glaze? I’ve always considered myself the cake-doughnut type, with a particular affection for the cinnamon-sugar ones at the fair. But my gosh, woman, I’m trying these. I like that yours look a bit thinner – an ideal ratio of glaze to interior. Very yummy looking and inspiring! These look dangerously delicious!! Can’t wait to try them. I just found your blog, and can’t stop perusing. Makes me want to move to Seattle just so I can hang out with folks who make their own chicharon and doughnuts. Was feeling proud of myself for cutting up a whole chicken tonight and making some fresh yoghurt, but clearly have my work cut out for me. Keep up the good work! 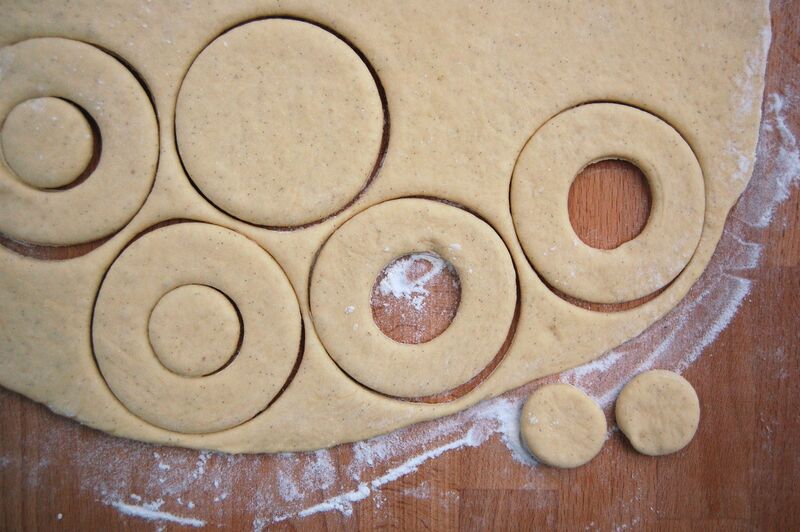 Do you think I can make these donuts as well without a kitchen aid paddle mixer? Could I use a wooden spoon instead? I don’t see why not. Give it a try and let me know if it works! 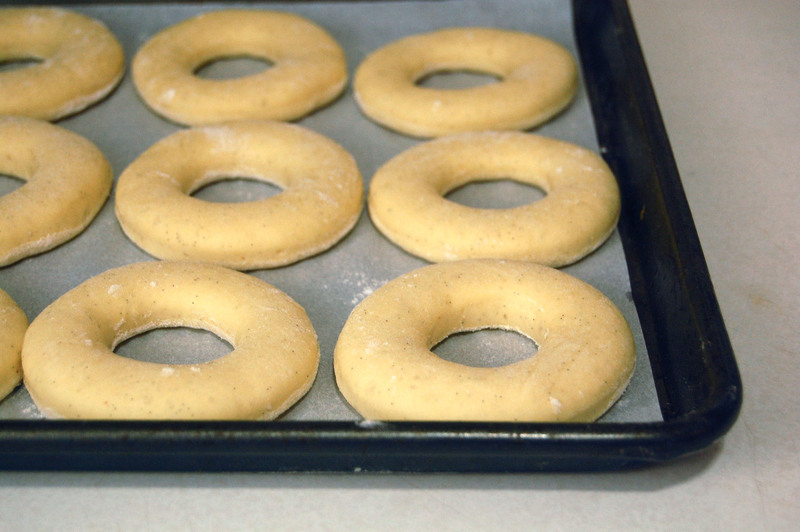 Doughnuts were a special treat on “Baking Day” in the 1800’s — long before mixer’s were around. I’m gaining weight just looking at your photos and reading your recipe, what would happen if I made them? I guess it is time to find out. Congratulations on being a finalist for Saveur’s best blogs of 2011. I have never eaten Krispy Kreme doughnuts, but I know they’re supposed to be pretty amazing. So if these are similar, I have to try them. I’ve never made American-style doughnuts and I have a feeling I should start with these. I loved your previous recipe for the pork buns. Krispy Kreme doughnuts are disgusting. Nothing whatsoever like these! It wasn’t a co-incidence that I find myself following this blog and Orangette but is it a co-incidence that you and Molly keep posting at the same time? Nevertheless- keep them coming! I’m always inspired to do something more than I would imagine I could do when I read your blog- you do make it all sound so…doable, really. A hidden reader (well, not so hidden anymore). OH. MY. GOSH. I did not expect to be smacked between the eyes with those doughnuts. Those are the kind of doughnuts my great grandmother made. I will have to try them the next time I have a free day. 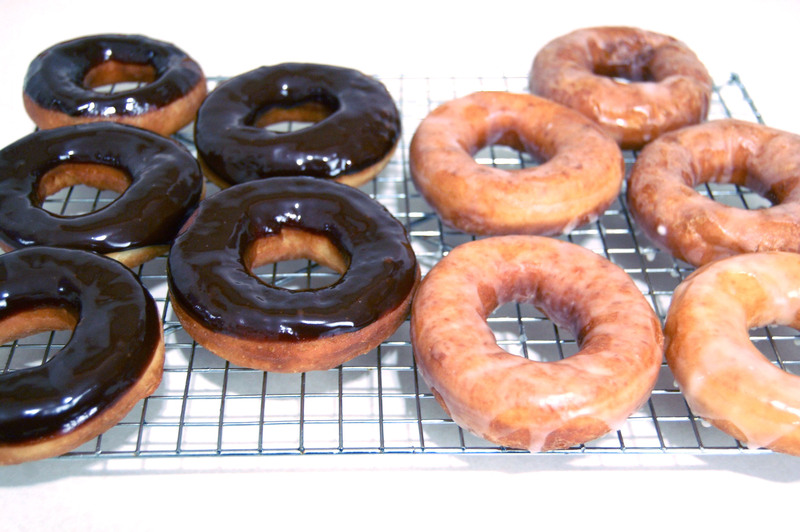 Mmmm… I could inhale about a dozen of these donuts right about now. Very interesting! If these doughnuts are as good as they look, then I know I’m in for a treat! Thanks for posting this! Thanks for sharing this fantastic recipe! I made it, loved it, and talked about on my blog: http://www.cupcakeproject.com/2012/03/how-to-make-krispy-kreme-doughnuts.html. 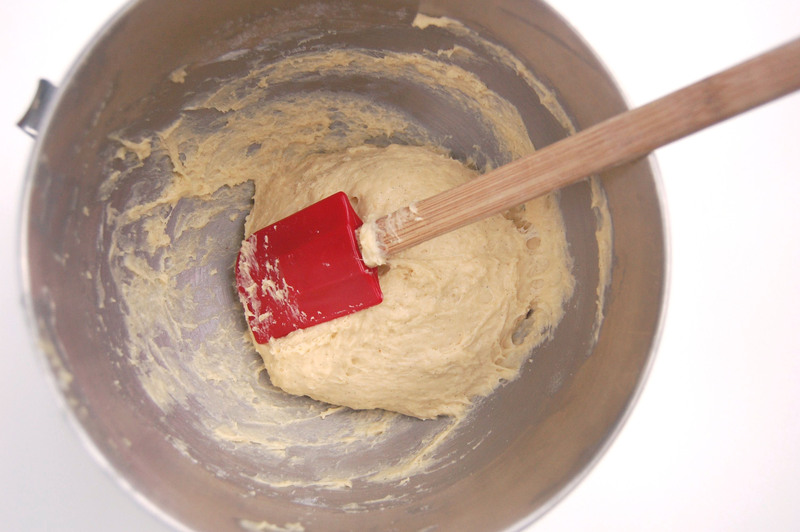 Has anyone ever tried making donuts / doughnuts with gluten-free flour? We now have Krispy Kreme ‘downunder’ in Melbourne, Australia and I have had to be content with placing the donut bag over my nose and mouth and inhaling, lol! My 10yo lurrrrvs them! Who wouldn’t?! Hey Ok, sooooo I tried the recipe and found that the bread flour makes it a bit too thick to eat with just the vanilla glaze on top. Instead I made a maple filling (that I had originally intended to inject into the doughnut holes)…and rolled the doughnuts in that…and then sprinkled a cinnamon/sugar topping over that. 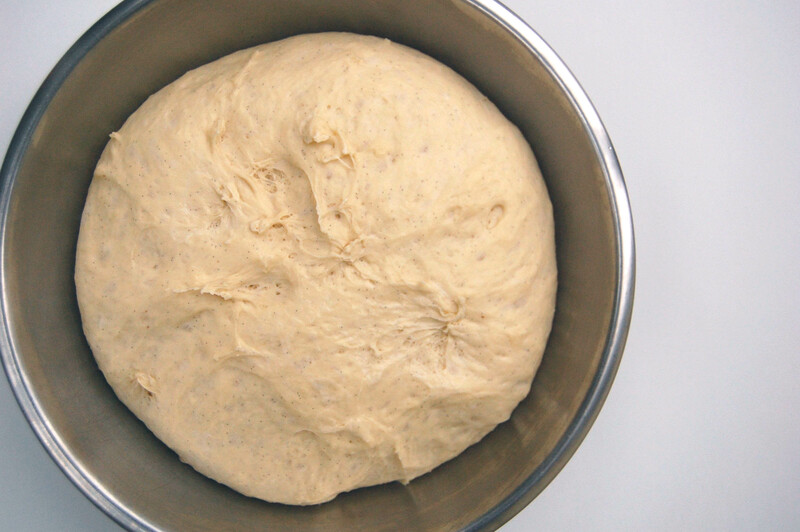 I KNOW it sounds like a lot, and it is…but it masks the heavy bread flavor and makes for a great treat. Is the butter salted or unsalted butter? Can we use low-fat milk to do it?